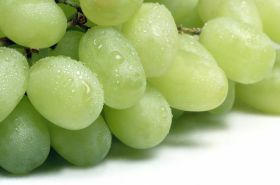 The California Table Grape Commission will have an extra US$2.85m in its marketing budget for the upcoming 2019 season. The peak industry body has been awarded the money through the USDA Agricultural Trade Promotion (ATP) programme, which has been set up to help mitigate adverse effects from tariffs imposed by multiple countries on US products. Over US$200m has been allocated to organisations throughout the country, with the Table Grape Commission one of 17 California-based ATP recipients. The Washington Apple Commission (WAC) received over US$8.4m in funding from the programme. The Table Grape Commission said it would spend most of its grant on consumer advertising, something it usually does not have the ability to fund in offshore markets. A 53 per cent tariff imposed on California grapes by China made the 2018 season a difficult one for the state’s growers. Data from the USDA indicates shipments to China – the third largest volume market for California table grapes – were down by more than 50 per cent last year, with a knock-on effect being felt in other markets. The ATP funds will be used by the Table Grape Commission during the 2019 California table grape season, which starts in May and runs through until January 2020.